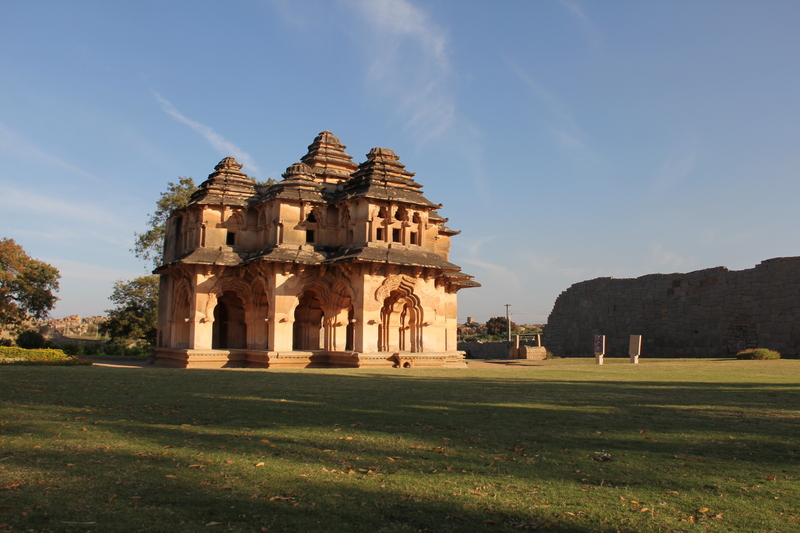 There are thousands of historical places, maybe millions, but very few like Hampi. Its landscape is dotted with ancient ruins dating back to 10th century, some even earlier perhaps. And as you walk past rocks that were cut to perfection into art, you cannot but help think what life was like when all of it was alive before slowly crumbling into the ruins that stand testament to what its glorious past was. It is astonishing how this world heritage site is not as well known as one would imagine. The place is almost surreal, you feel like you are on the sets of a periodic movie of epic proportions. If you are a history fan and love getting lost among the ruins of ancient buildings, you would never want to leave Hampi. And the best way to savor its scenic beauty is by traveling around in cycles, which is exactly what my friends and I did. 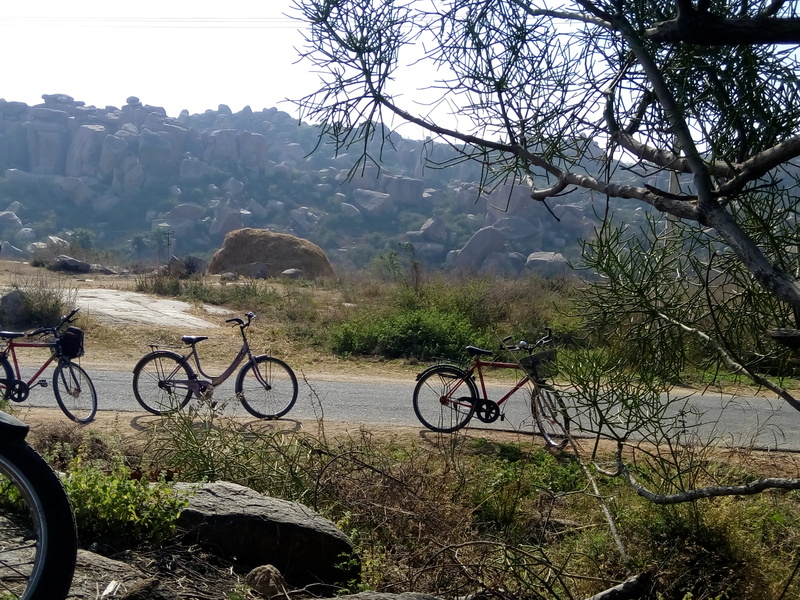 We rented cycles and saw most of Hampi on these amazing two wheels. While there are a lot of stray temples and scattered ruins everywhere, the most beautiful of which is the Vittala complex. Legend has it that the Vittal temple was built for the reincarnation of the Hindu God Vishnu. But when Lord Vishnu saw it’s architecture, he thought it was too opulent for him and the humble life that he led in his human form. 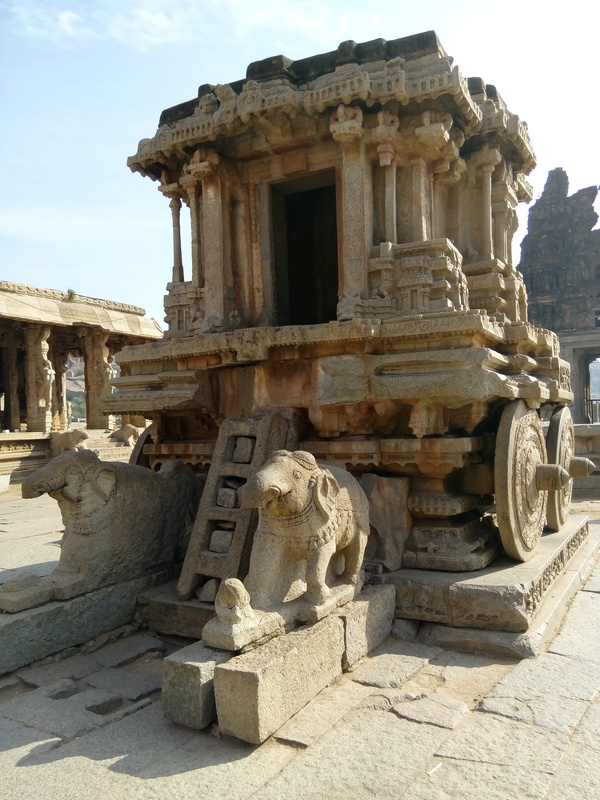 The iconic stone chariot at the Vittala temple complex. The intricate craftsmanship of this 15th century temple makes you think of the dedication, sweat and toil of the artisans in those times and the hours they put in to create it. The entrance to the Vittala complex in Hampi. 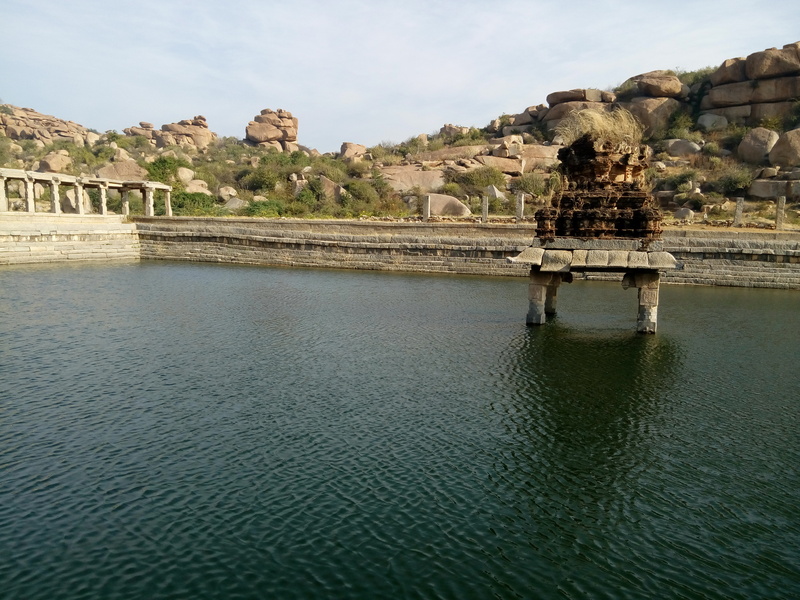 Just on the sides of the Vittala Complex is the Pushkarani, which is an ancient tank with a small temple like structure submerged at the centre, the place just looks divine. I think the picture fails to capture its ethereal beauty. 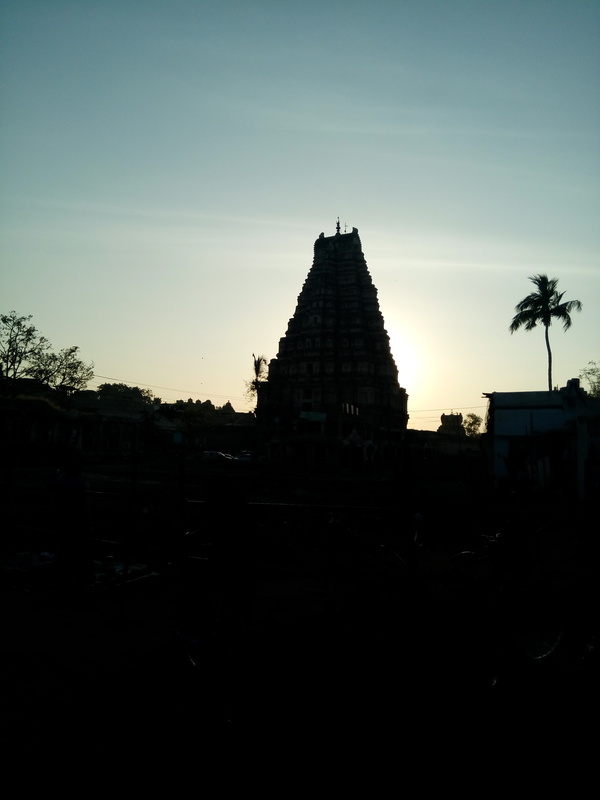 And you cannot possibly miss visiting the Virupaksha temple. Luckily when we were in Hampi, it was a full moon night and we just lay down on the ground inside the temple and stared at the skyline behind the temple. A visit to the Hampi museum would help one understand the stories behind the monuments better. Many structures were commissioned under the reign of Krishnadevaraya, one of the most famous Deccan Kings. We happened to meet and have a chat with a friendly Architecture Professor who was on an all India tour. 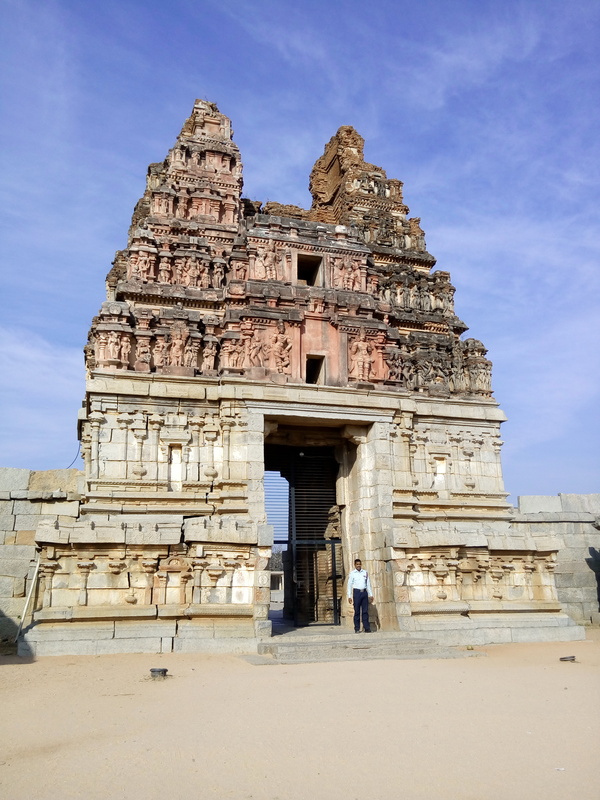 He was from Korea and was absolutely spellbound by the ancient ruins of Hampi. “I have traveled to so many places, but none of them can match Hampi”, he said. We could not agree more. P.S: Pictures courtesy the cameras of my friends Bhanu and Veena. Next Next post: Pack and Go!